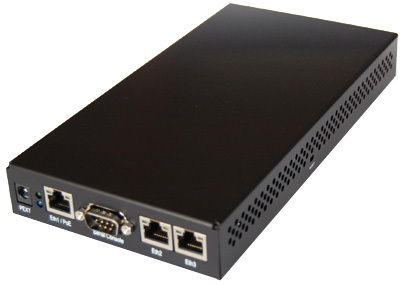 This assembled Mikrotik RouterBoard 333 comes complete with case and switching DC power supply and makes a fantastic 3 port 10/100 layer 3 switch and/or router with the option to add up to 3 radio cards. Fully managed with SPI firewall and vpn support. All ethernet ports are fully independent and support 802.1q vlans, and advanced routing protocols including RIPv2 and OSPF. Management from GUI or CLI with access through web, telnet, or ssh.